In humanitarian settings, transmission of disease is high because public health infrastructure is often compromised, access to key services, such as drinking water and sanitation can be limited, and the environment highly contaminated. The simple act of handwashing with soap (HWWS) is an effective means of preventing transmission of important diseases, such as diarrhoea and pneumonia, however, it is infrequently practised. Children can account for more than 50% of a crisis-affected population and account for most diarrhoeal and pneumonia cases, thus, increasing HWWS among children in these settings has the potential to substantially improve health outcomes for populations at risk. Our innovation aims to increase HWWS among children in emergency settings. Through a multi-stage design and testing approach, we will produce a novel soap product as an incentive for child handwashing that can be produced locally, at low cost and tailored to local consumer preferences (shape, colour, size, smell, toy design). The soap product contains an incentive – a small toy – that can only be reached as the soap is used and will therefore incentivise HWWS practice: the more you rub the quicker you get the toy! The idea is similar to that of the popular ‘Kinder Egg’- a chocolate egg with a hidden reward/toy inside. Existing HWWS interventions are designed using health-based messages and rely on these messages to promote behaviour change, despite evidence suggesting health is not an effective motivator for behaviour change. Our intervention provides a child-specific incentive based on fun, curiosity and psychological reward. So, the journey has begun! 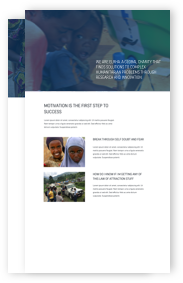 Save the Children UK and the London School of Hygiene and Tropical Medicine have successfully secured funding from the Humanitarian Innovation Fund to develop our exciting innovation we call ‘The Hidden Incentives’. After morale-sapping delays, as bureaucratic stumbling blocks and political insecurity saw the location of our hand-washing trial move continent, this February we were finally ready to start the fun part – the interactive product design and development workshop!